Most everyone is back to school now and getting into the swing of things. 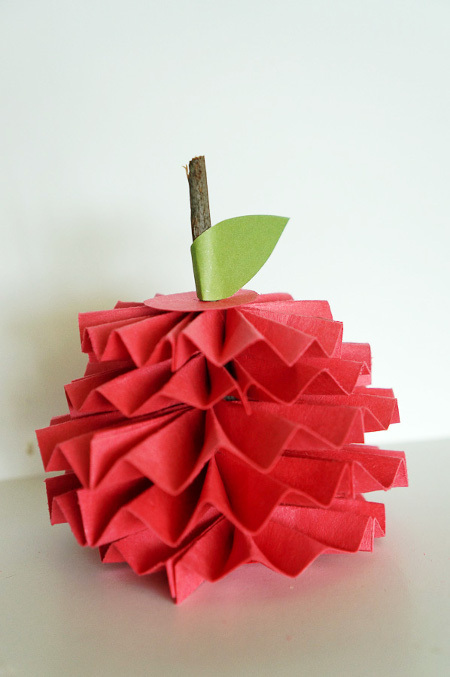 Here’s a cute way to make a great impression on your teacher, make one of these paper apples for their desk! 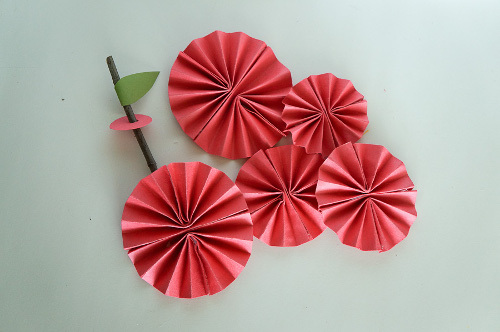 Earlier this summer I shared how to make large paper fan decorations, here. For today’s craft project uses the same technique only the paper is much smaller. 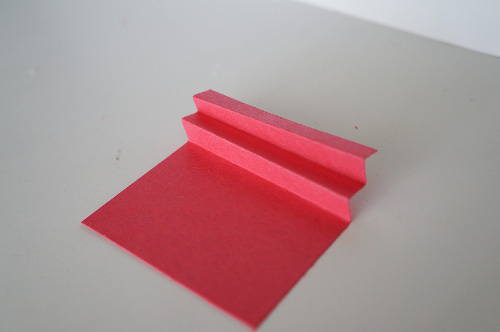 Start by folding the paper in an accordion fold about 1/4″ wide for the entire piece of paper. Next fold the folded strip in half and secure the two edges together using glue dots. I love glue dots here because they offer an instant hold. If you need to use craft glue here, I suggest clipping the glued edge together with clothes pins until dry, if not the paper will want to open up. Do the same thing with the second piece of paper of the same size. Now, using the glue dots again connect the two fans together. You will make 5 round fanned pieces. Place one of the medium rounds on the bottom of the twig, then the 2 large ones. Then the other middle sized round, and last the smallest one . Cut a circle the size of a quarter and place that at the top of the stack of rounds. 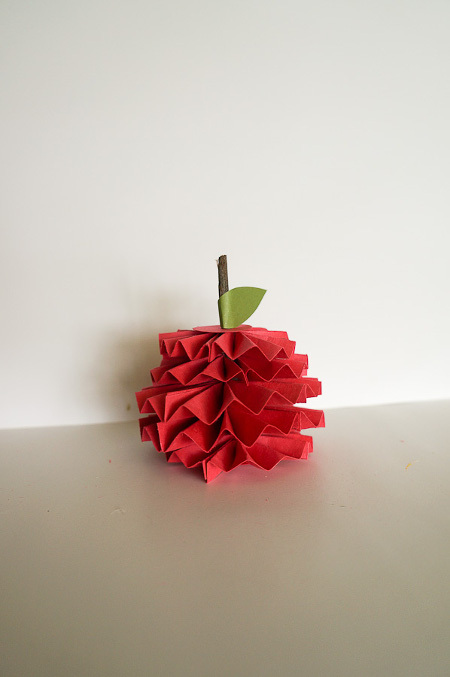 Lastly cut a green leaf out and glue it to the stick at the top of the apple. Just what every desk needs! This entry was posted in Back to School, Crafts, Family Crafts, Holidays & Seasons, Paper Crafts and tagged Family Crafts on September 5, 2013 by Stephanie.